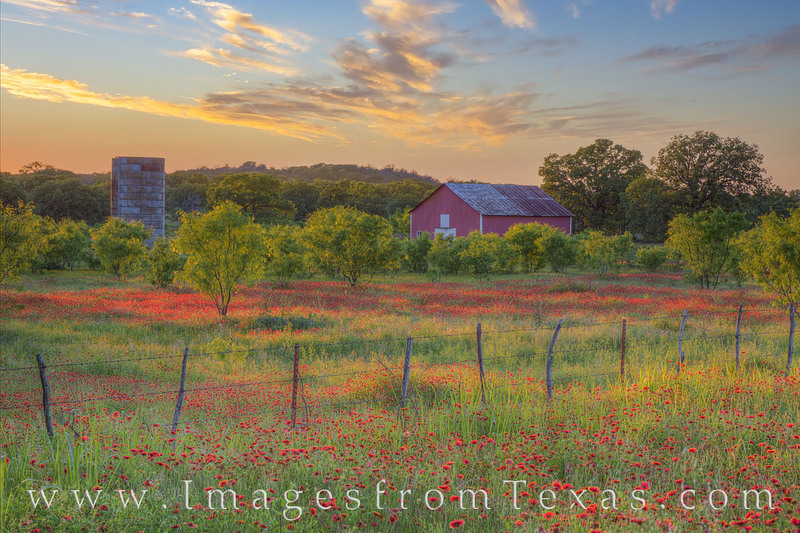 On a quiet country road in the northern Texas Hill Country, red wildflowers (Firewheels) spill over from the field past an old wooden barbed-wire fence. The sitting sun turned the horizon into shades of orange and blue, and the lingering clouds overhead put on quite a show. Photo © copyright by Rob Greebon.